the journey from then to now. Mike Kazanjian now continues his ancestors great heritage. 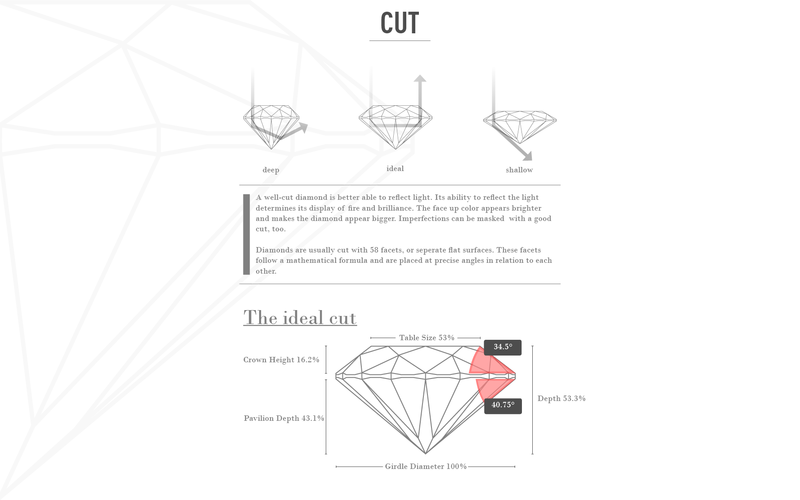 The cut of a diamond refers to its proportions. Of the 4Cs, the cut is the aspect most directly influenced by man. The other three are dictated by nature. All diamonds are measured in carats. “Carat” denotes the weight of a diamond. One carat equals 0.20 grams. Taken by itself, carat weight does not determine a diamond’s value. The farthest from colorless that a diamond's grade is, the less rare and therefore less valuable it is. Minute impurities within diamonds lend the stones subtle colored tints. A stone is said to be flawless if no internal flaws and no external imperfections are visible. Absolutely flawless diamonds are exceedingly rare and priced accordingly. we offer a wide range of products, all uniquely hand-crafted. "...we had a wonderful experience and appreciate Mike and his staff for making us feel so warm and welcome!! We had been to several stores prior and Mike really took care of us. He took the time to explain to us in depth the differences in each ring and loose diamonds. Thanks again Prestige!" "Thank you Mike and Prestige Jewelry! Our big day went off without a hitch and we couldn't be happier with the rings we got from you. The quality of the diamond is amazing and I couldn't have imagined a better experience buying diamonds for my first time." "I LOVE my custom engagement ring & band! I never thought that my ideal ring would turn out better in person than in my dreams!"